Plants on infertile soils exhibit physiological and morphological traits that support conservative internal nutrient cycling. However, potential trade-offs among use efficiencies for N, P, and cations are not well explored in species-rich habitats where multiple elements may limit plant production. We examined uptake efficiency and use efficiency of N, P, K, Ca, Mg, Al, and Na in plots of regenerating tropical dry forests spanning a gradient of soil fertility. Our aim was to determine whether plant responses to multiple elements are correlated, or whether there are trade-offs among exploitation strategies across stands varying in community composition, soil quality, and successional stage. For all elements, both uptake efficiency and use efficiency decreased as availability of the corresponding element increased. Plant responses to N, Na, and Al were uncoupled from uptake and use efficiencies for P and essential base cations, which were tightly correlated. N and P use efficiencies were associated with shifts in plant species composition along the soil fertility gradient, and there was also a trend towards increasing N use efficiency with stand age. N uptake efficiency was positively correlated with the abundance of tree species that associate with ectomycorrhizal fungi. Taken together, our results suggest that successional processes and local species composition interact to regulate plant responses to availability of multiple resources. 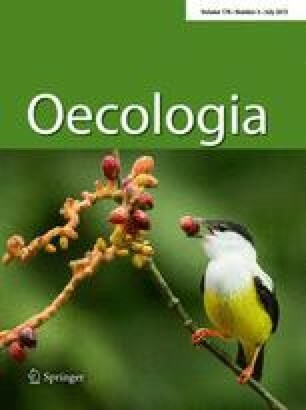 Successional tropical dry forests appear to employ different strategies to maximize response to N vs. P and K.
The online version of this article (doi: 10.1007/s00442-015-3283-9) contains supplementary material, which is available to authorized users. We thank Roger Blanco and Maria Marta Chavarria of the Área de Conservación Guanacaste for logistical support and Daniel Peréz-Aviles for excellent help in the field. We also thank two anonymous reviewers for comments that improved this paper. This study was funded by National Science Foundation CAREER grant DEB-1053237 to J. S. P.